BRICKFORM Antique Release imparts a second color while serving as a bond breaker for stamping. It is made from a finely ground formula that creates beautifully antiqued and textured concrete surfaces. Antique Release is available in 42 standard colors to match or contrast with BRICKFORM Color Hardener. Custom colors and color matching are also available. BRICKFORM Antique Release imparts a second color while serving as a bond breaker for stamping. It is made from a finely ground formula that creates beautifully antiqued and textured concrete surfaces. You can use BRICKFORM Antique Release with Liquid or Dry Integrally colored concrete, as well as BRICKFORM Color Hardener. Antique Release is available in 42 standard colors to match or contrast with BRICKFORM Color Hardener. Custom colors and color matching are also available. Expectations – Antique Release provides a natural looking colored surface accent that will last forever. It is recommended to always use a darker color (or colors) of Antique Release over the base color of the concrete. Please look at the Sample Combination section of the BRICKFORM catalog to see examples of various color combinations. Antique Release is not like paint in that it may not provide an exact match to our color card or sample combinations pictures. BRICKFORM Antique Release imparts a second color while serving as a bond breaker for stamping. It is made from a finely ground formula that creates beautifully antiqued and textured concrete surfaces. You can specify the use of BRICKFORM Antique Release with Liquid or Dry Integrally colored concrete, as well as BRICKFORM Color Hardener. Antique Release is available in 42 standard colors to match or contrast with BRICKFORM Color Hardener. Custom colors and color matching are also available. This EIC award winning stamping job was completed by Absolutely Fine Concrete using Brickform Color Hardener and Antique Release. 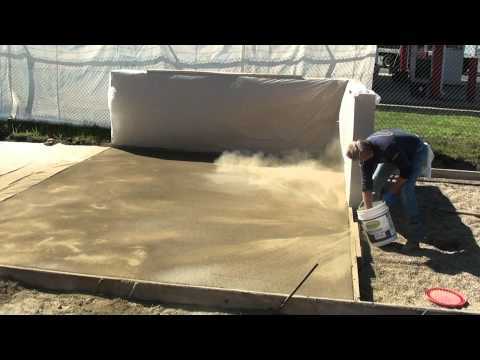 All of the projects in this gallery are works by Sullivan Concrete Creations in Newport, MI. Brickform colors, liners, and stamps are used throughout. 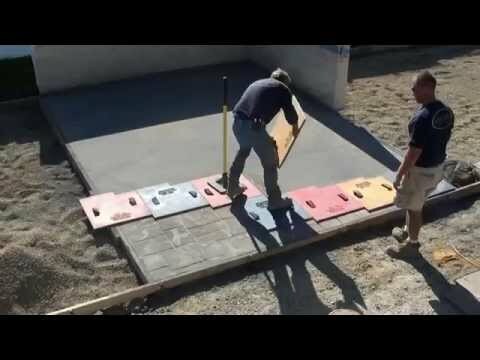 BRICKFORM show how to properly stamp concrete from start to finish. BRICKFORM will go over the Stamping process. This video goes over Antique Release, Texture Mat's, texture Skins, touch-up wheels, Chisels, detailing the stamp job and sealing.